It didn’t fully hit me until I was asked by a prospective ’22 about what the day of a “typical Dartmouth student” looks like; a normal and routine question. Following my response about attending classes, going to rehearsal, attending meetings and finally giving this tour, her response changed the way I think about Dartmouth’s student body: “Everybody who makes themselves available to talk is so visible on campus, so busy all the time and involved with so many different activities; it’s really overwhelming.” After all, she was right. Dartmouth cultivates an image of the “typical student” as one who is always involved, always busy and always unpredictable. This image of Dartmouth students as strong multitaskers with a wide and diverse range of passions is not only largely false, but also creates a self-selecting and problematic precedent for future classes and generations. I have found myself guilty of perpetuating this stereotype of the typical Dartmouth student. Rather than replying with a general statement when asked, “How are you?,” I almost always reply with a rundown of my daily itinerary. When giving my tour guide introduction to interested visitors, I begin with a resume list of extracurriculars and communities I am a part of before I ever mention my classes or how I feel about the College. Many of the most visible people on campus are involved in a myriad of activities. From the ski team to the Sustainable Living Center, from the Dartmouth Outing Club to the Dartmouth Symphony Orchestra, it’s not unusual to be involved with many different communities and it’s not necessarily a bad thing in and of itself. The problem is when Dartmouth students normalize this behavior as typical and something to expect when coming to Dartmouth. Rather than thinking of being busy as productive, outgoing or overachieving, it has become an expectation for Dartmouth students to cram as many activities as possible into their schedule. I often feel like the question “How is your term going?” is a challenge rather than genuine inquiry, the person demanding that I justify my time. By having many visible and outgoing students fitting this archetype, Dartmouth creates the false perception that all students are made in this mold. Furthermore, during admissions cycles and other times critical to the College’s enrollment, the faces most often amplified are usually the most involved and busiest students on campus. That image may then lead prospective students who are more inclined to feel confident about being busy, outgoing and extroverted to self-select, leaving behind those who might be more introverted or focused on one particular subject. Don’t get me wrong: there’s nothing wrong with being very involved and liking to be busy. I am a huge culprit of perpetuating the exact stereotype I believe to be problematic. While being outgoing and extroverted isn’t necessarily a negative thing, it’s important to note that many of the first organizations students see at Dartmouth cater specifically to these personalities. The Dimensions program is bright, loud and in-your-face. The DOC’s First Year Trips pushes you out of your comfort zone, asking you to throw away conventional social interactions and go into the woods with strangers for five days. It is arguable that these programs have huge positive impacts. However, while these programs can help students grow, many early introductions to the College are undeniably more tailored for extroverted, outgoing and traditionally overrepresented students. This focus on the social, extroverted and involved student has unavoidable connections to privilege. While some students bounce between two campus jobs to supplement their financial aid and study for a fourth class to complete a double major, others are balancing time between a-capella rehearsal and sports practice. It’s important to note that historically, the former group has been underrepresented in institutions that are most visible to incoming and prospective students, a factor that could make self-selecting for privileged and outgoing students a huge problem. 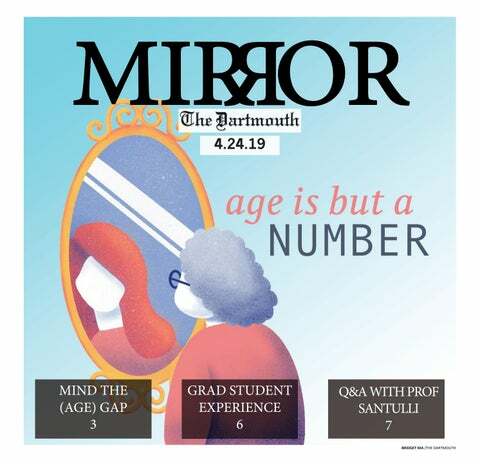 While there is nothing wrong with being extroverted, highly involved, or busy, it’s important that when Dartmouth puts the best image itself forward, it is representing the voice and image of every student. The impetus for change must not simply be placed on institutions that perpetuate this idea, but on every student as an individual. It’s time to throw away this view of the “typical student” and understand that everyone comes from a broad range of activities, communities and places on campus.